Trumbull was a close friend of John Church and had served with him in the Continental Army. Angelica first met Trumbull in London in 1784 where he was a member of the social elite surrounding the Prince of Wales. Trumbull later executed portraits of Jefferson for both Angelica and Maria Cosway. Angelica Schuyler Church was born in 1756, the daughter of General Philip John Schuyler and Catharine van Rensselaer of Albany, New York. She was one of eight children. Her father, Philip Schuyler was a Major General in the Continental Army and an aide to General Rochambeau. He later became both a member of the Continental Congress and one of the first senators from New York. Angelica's mother, Catharine, became famous in her own right through a painting entitled Mrs. Schuyler Burning her Wheatfields on the Approach of the British 1777. Angelica eloped with her husband John Barker Church, a British businessman, in the same year. John Church, also known as John Carter, had fled England after a duel and had become successful in America. He served as General Washington's Commissary General during the war. After the war, Mr. Church became a member of the British Parliament, and the family settled in a house at Sackville Street, London. Angelica was well-connected also through her sister Elizabeth's marriage to Alexander Hamilton. Hamilton wrote several lively letters to his sister-in-law. The business affairs of Mr. Church placed Angelica in a high social position in London, and she was a member of the royal circle. She entertained both diplomats and artists alike in her salons, which included prominent figures such as Pitt, Trumbull, Burke and the painters, Richard and Maria Cosway. Her husband's activities took Angelica to Paris, which she loved, where she broadened her social horizons. Angelica was regarded as not only a beautiful woman, but a woman of intellect and sensibility. Her confidance was sought by some of the foremost men and women of the Enlightenment. She corresponded throughout her life with the figures she met in Paris, particularly the Marquis de Lafayette and the Marquis de Talleyrand. She was the patron and muse of numerous artists and writers, including Trumbull and the Marquis de Lally-Tollendal. It was in Paris that Angelica was introduced to Thomas Jefferson by their mutual friend Maria Cosway in 1786/87. Angelica maintained a life-long friendship with both Jefferson and Cosway which is delightfully preserved in the letters of the Church Archive. Jefferson's daughter, Maria, attended a convent school with Angelica's daughter, Kitty, and they remained friends. In addition, Jefferson regarded Kitty Church as something of a ward during the years she was in school in France. Angelica and John Church returned to America to reside permanently in New York. Villa Belvidere was the house she had built on her return and may be sited on the land referred to in the letters of General Schuyler. 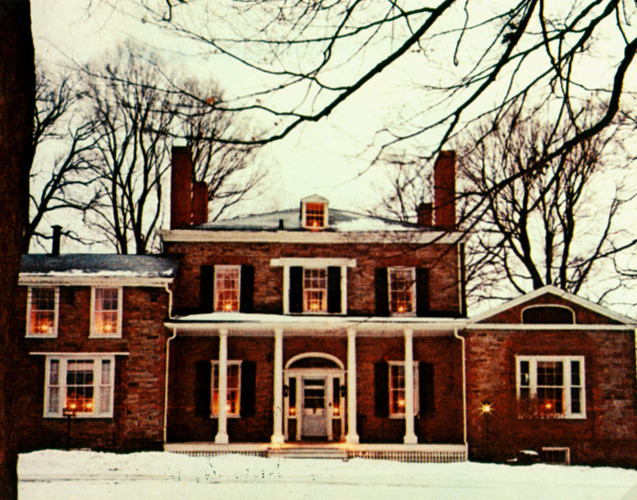 The design of Villa Belvidere is traditionally ascribed to Latrobe. Angelica returned to America from her life in London in 1797 and built a mansion in New York. In 1804, her brother-in-law, Alexander Hamilton died as a result of a duel with Aaron Burr. Her correspondence with Jefferson does not cover that period, and her own thoughts are not known. Her daughter Kitty continued to write to Jefferson and his letters to her are cordial. 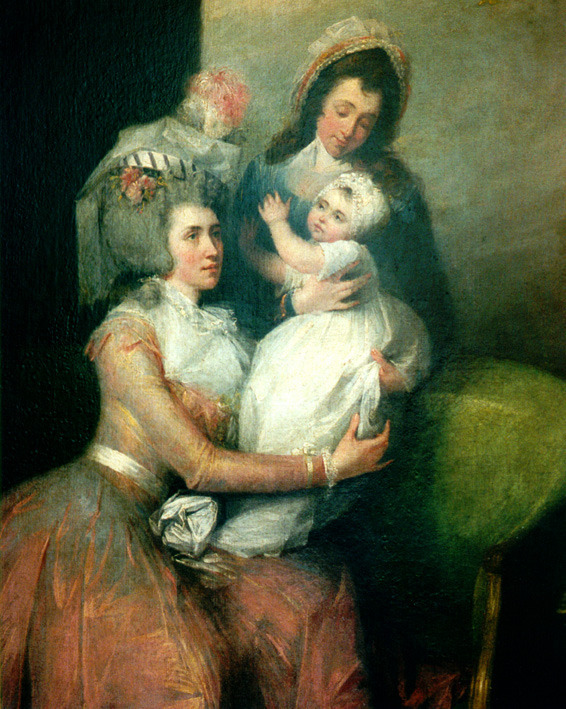 Her sons may have remained in London, as evidenced by her letter of 1811, the only one in the collection by her hand. Angelica valued her friendship with Maria Cosway until her death in 1815, and she was mourned by Maria in a letter in which she yearns for all her lost coterie. Maria designed a ceiling decoration for a temple to Angelica. As a tribute to their friendship, the Three Graces carried garlands encircling her friend's name. St. Aubin, an Academic painter, was fond of the genre of recording aristocratic visitors to the annual Salons which became a social event in the Ancien Régime. 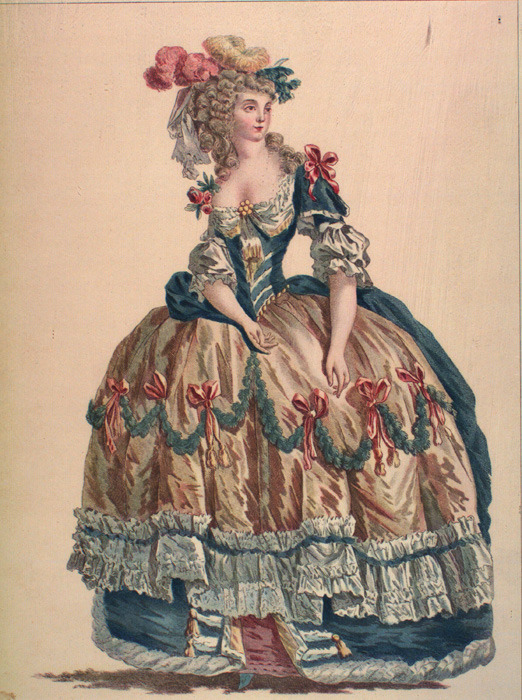 The lady is probably a vignette from one of his views of the Salon engraved later by Dupin. Both regular Salon exhibitions and state patronage were a part of the eighteenth century artistic circles in Paris.